The last international break for the year is finally over, with round 12 of the Spanish La Liga commencing this weekend. Barcelona still top the standings with 31 points, four clear of closest challengers, Valencia. The Bats are hot on their heels and are one of the three teams yet to taste defeat this season. Madrid giants, Atletico and Real, complete the top four and will battle it out in the biggest blockbuster this weekend. Let’s get straight into it! The international break came at the worst possible time for Girona, who were on a three-game winning streak before the interval. Two of those wins were away from home, however, the victory on home soil came against Real Madrid. Perhaps the break came just in time for Real Sociedad, though, who had won just one of their last three La Liga matches. They’ve been decent away from home, winning three of their five encounters. It should be a tight affair, but I’m going for value and backing Sociedad to end Girona’s impressive run at 33/20! Getafe come back from the break in some decent form. They were unbeaten in three games, however, two of them were draws. Alaves have been one of the league’s worst performers this season. After a stellar campaign last time out, the Babazorros have been dreadful and are known as relegation-zone casualties this season. They’ve scored just twice away from home and have picked up one victory. My money is on the home win! Leganes will feel that the international break came at the best possible time for them, losing twice in a row before the interval. What they won’t be too happy about is returning to host high-flying Barcelona. The Catalans have been ruthless this season, going undefeated so far in the campaign and winning 10 of their 11 fixtures. They possess the league’s top scorer in Lionel Messi, who will be hoping to add to his 12-goal tally. The away win is a banker – include in all multiples! Sevilla have been inconsistent in recent weeks and have dropped down to sixth in the process. They’ve lost three of their last four matches, but somehow, have managed to keep their impressive home record intact. From their five games played at the Ramon Sanchez Pizjuan, they’ve won four and drawn one. Celta Vigo sit in the bottom half of the table, losing two of their last three games before the break. Sevilla have dominated this fixture in recent head-to-head meetings and should come out on top here. Atletico Madrid host crosstown rivals, Real Madrid in the first Madrid derby of the season. The hosts are one of three teams unbeaten in the league this season, along with Valencia and Barcelona. Zinedine Zidane’s side suffered their first and only defeat away from home in their last game, losing 2-1 to newly-promoted Girona. In the last eight league fixtures between the two sides, Real Madrid have only won once, losing four and drawing three. 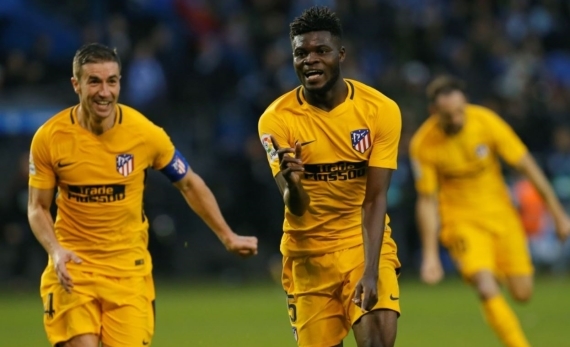 I’m backing Atleti on the Win/Draw Double Chance at 6/10! Malaga sit rock-bottom of the standings with just one win and one draw from their opening 11 games. In all honesty, they should not be favourites against any team in the division. Deportivo haven’t been too good either, but have managed to win one and draw two of their five away matches. Goals are not certain in a fixture like this, so I would suggest backing Under 2.5 Goals at 15/20. Espanyol suffered their first defeat in four matches before the break, losing to Alaves, one of the division’s worst performing sides. Valencia, on the other hand, have been battering teams up for fun. They’ve scored the same amount of goals as Barcelona and are unbeaten in La Liga this season. They’re also looking to make it eight wins in a row at Espanyol. Valencia have scored the most goals away from home and are tipped to come out on top! Las Palmas head into this fixture in the worst possible form ever. The Yellows are on a run of seven straight defeats and sit 19th on the table. Levante find themselves in a sticky situation as well, failing to win in six league matches, drawing and losing three apiece. The travellers are yet to win on the road, while Las Palmas haven’t been too convincing on home soil. The draw looks likely here at 49/20. Athletic Bilbao wrap up Sunday’s action when they host Villarreal at the San Mames Stadium. The hosts are on a three-game losing streak and have lost four of their last five league encounters. Villarreal seem to have found their form, winning four of their last five matches before the international break. Bilbao haven’t been too convincing, while I expect the Yellow Submarine to keep up their form and push for a Champions League spot. Take Villarreal on the Win/Draw Double Chance at 6/10! Eibar and Real Betis close gameweek 12 with a Monday night showdown at the Ipurua Municipal Stadium. The hosts are on a winless run of seven matches in the league and are lucky to be seated just outside the relegation zone. Real Betis have been top-half casualties and currently sit seventh on the log. Away from home, though, they’ve won just once from five matches. With neither side looking convincing enough for the win, my money will be on the draw!